During your Yangshuo Tour, how can you miss the tasty Yangshuo local food? Although it is a small county, its cuisine is so unique and gives you a fresh impression. Make use of local fresh ingredients, food in Yangshuo not only delicious, but also benefit to health. 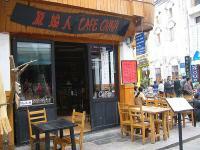 Below are some famous dishes and popular restaurants of Yangshuo for your dining in Yangshuo offered by Guilinholiday. If you ask about the most popular dish in Yangshuo, then people's answer can always be Yangshuo Beer Fish. In Yangshuo, restaurants braise Li River fish in the local beer with some local vegetables, tomatoes, green and red peppers, etc. The tender and tasty flavor of the fish will make your mouth watering. The quite clean rivers in Guilin nourish the river fishes which feature as tasty and tenderness. And Yangshuo local people have handle different ways of fish dishes. Steamed Li River Fish is accompanied with special sweet sauce and may be the best choice for people who prefer lightly flavored food. Have you ever eat snails as a dish? Come to Yangshuo and you should not miss the unique stuffed Li River snails. Stuffed with minced pork and a small amount of vegetables, mushrooms and mint, the snails are cooked in a light sauce. In the street of Yangshuo, you can find one kind of special drinking called Oil Tea, which is a distinctive flavor of Guilin. It originates from the minorities living on the mountains in this area, while drinking Oil Tea can easily help them keep warm in winter. As for the popular restaurants and fit for different people’s flavors, we choose 5 for recommendations. First, Yangshuo Sister Peng beer fish restaurant that has got a lot medals in cooking contests all over the country. Second, Pure Lotus Vegetarian Restaurant and is the only vegetarian restaurant in Yangshuo. 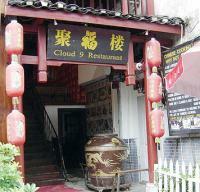 Third, on the corner of West Street across from KFC, Cloud 9 Restaurant caters more to Chinese cuisines. Fourth, located in the middle of West Street, Twin Peaks Café is very comfortable to sit on the second floor with balcony. At last, well known for its BBQ chicken and delicious cheese cakes, Café China serves a variety of Chinese and Western cuisines.